The internet is saturated with blogs and sites about anything and everything under the sun. Among the dozens of blogs devoted to personal finance, Cash Money Life (cashmoneylife.com) stands out as a reliable and factual source of information and advice. As featured in top-tier media sites like The Wall Street Journal, The New York Times, Yahoo! Finance, MSN Money and MainStreet.com, Cash Money Life offers readers an easy and efficient way to get the inside scoop on anything money-related without the distraction of complex interfaces and confusing designs. Authored by Ryan Guina, the blog targets a broad audience and brands itself as a personal finance, small business and career journal. The site is updated daily with articles covering a wide spectrum of financial topics, from current events1 to product reviews, tutorials, investment tips and more. You can use the site to search for an auto insurance plan that suits your needs or to explore the stocks that are worth investing in this season. Articles are always written in simple, easy-to-understand language that offers concrete information without talking down to the reader. When visiting the site, you can browse through the fresh posts or look up archived evergreen content covering a comprehensive list of financial topics. Also check out the "Free Money" page, which is a wildly popular spot that is dedicated to sharing information about freebies. The freebies include gimmick-free, complimentary trials, referral bonuses, first-time-customer gift cards and more. Check it out to see what's free this week! 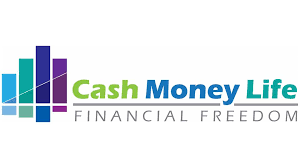 If you're looking for a place where you can find clear, practical, and reliable financial information, visit Cash Money Life today.